The 60-774 SuperBus 2000 8-zone input alarm expansion module expands the versatility of compatible alarm control panels by adding (8) hardwired alarm zones for coventional hardwired security devices. On GE Advent security systems, you can connect multiple 60-774 input modules to a single alarm control panel for up to (250) input zones. On GE Concord security systems, you can add 60-774 input modules for up to (76) input zones. On UltraGard security systems and Advent Access 1251e access point managers, you can connect up to (8) 60-774 input modules to a single alarm control panel for up to (64) inputs zones. Both normally open and normally closed devices can be wired to a SuperBus 2000 8-zone input alarm expansion module. The 60-774 expansion module monitors all zones and alerts the alarm control panel if there is an open/short circuit by using a 2.0K ohm end-of-line (EOL) resistor on each zone input. For additional security, a magnetic reed switch can be added and connected to one of the alarm expansion module input zones to provide module taper protection. The 60-774 SuperBus 2000 8-zone input alarm expansion module comes with (8) 2.0K ohm EOL resistors and mounting hardware (screws and wall anchors). 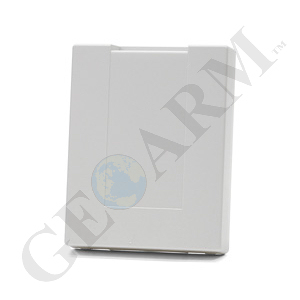 Power for the alarm expansion module is provided by your GE alarm control panel. For UL864 applications, fire and security intiating devices must not be mixed on the same module. The SuperBus 2000 digital data bus technology provides fast and reliable data transfer to the alarm control panel and allows either automatic or manual module bus addressing.